As a foreigner with loads of cash to invest, you want to expand your business to other countries. You should consider the Philippine as a priority. Why not? A lot of people have high expectations from this country, whether locals or foreigners. With a president who has an anti-corruption advocacy, an English speaking workforce, and relatively positive ratings from financial institutions, it is definitely worth considering. But before you get excited, here some business practices you should be aware about and prepare for in order to not be disappointed. The constitution only allows 40 percent ownership for foreigners when it comes to businesses and properties. There are calls for this provision to be amended but it has not gained full support from lawmakers yet. So what do you do? The most logical action is to engage partnership with local businessmen. At the extreme side of the equation, marry a Filipina or a Filipino so you can acquire business and properties using your spouse’s name. Most local businessmen complain that getting a business license is really difficult. There are several requirements that you have to submit and it will take months to facilitate up to the final processing. Most of all, long lines await you when completing every business license process steps. Thus, most government agencies have fixers lurking around and offering to help you process your business licenses easily in exchange for a bride. There are stories that most fixers are really in it for your money in exchange for the convenience of not having to tow long lines with every step of processing. In addition, government employees involved with the processing would also ask for tips if you want your papers to be done. These are a major headache among businessmen in the Philippines. 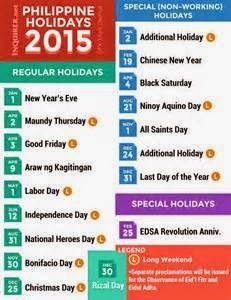 There at least 20 legal holidays in the Philippines and each province have their own local holidays by virtue of festivals and traditions. The previous president even circumvented laws and move legal holidays to a working day if it falls on a rest day like Saturday or Sunday. In all of these holidays, employees are paid. So if your business operations require your staff and workers to report during these holidays, expect to pay overtime fees. As one businessman puts it, the headache is even bigger if you factor the days employees are absent with sick leave pay and on vacation leave. If your business is labor intensive, this is another major problem. Union organizations are known to be left leaning and are perceived to be unreasonable with their demands on collective bargaining agreements. A lot of multinational corporations have shut down their operations and moved to other countries because of the not-so-friendly attitudes of union leaders towards multinational companies or foreign controlled companies. Every year during Labor Day (May 1), union organizations are never ashamed to parade their demands such as wage increase for example. Every country has its own quirkiness when it comes to owning and doing business. It is really important that you know these and work your way out from there in order to be successful. It is interesting to note that while there are businesses which close, this does not discourage other companies from establishing their own branch and satellite operations in the Philippines. A more detailed guide for expats planning to start a business in the Philippines is available through this post from EnterPh.